DuraWattle is long lasting and easily reused over multiple jobs over several years without a change in its overall effectiveness. Jagoe Homes in Kentucky has reused 85% of the DuraWattle he purchased for several residential building projects. See the case study here. Traditional BMPs can be damaged by heavy equipment and often require frequent replacements which increase costs and compliance issues. If you are replacing your temporary sediment control BMPs 2-3 times per job, then DuraWattle can save you money and keep you in compliance. We compress the DuraWattle to save on shipping costs – which in turn passes savings onto you! DuraWattle can be easily transported across development sites with the 300ft bundles fitting in the back of a pickup truck. DuraWattle is extremely durable; pieces only need to be replaced occasionally. Only minor maintenance is required after rain events. 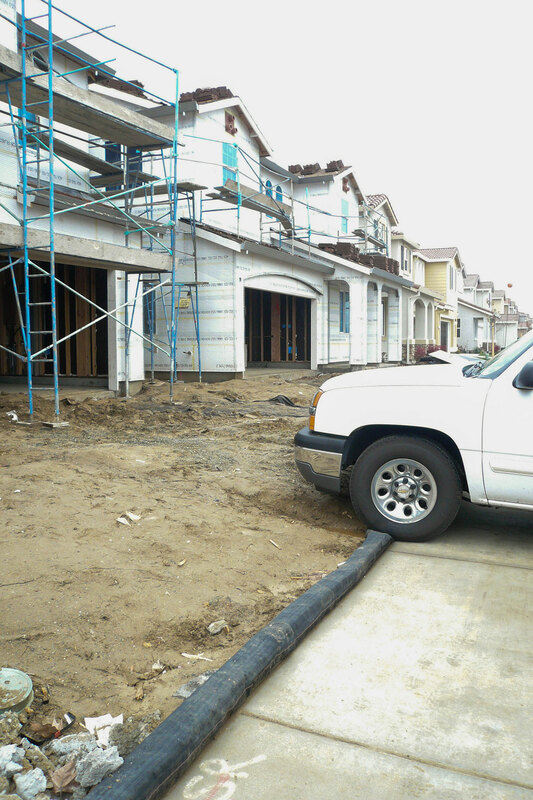 Simply push the built-up sediment back towards the construction area. Read more about maintenance. DuraWattle does not absorb water, so it remains lightweight even after a rain event. Some synthetic sediment control devices must use weight to secure them to the ground. DuraWattle is secured by its “tail section”. DuraWattle is only 5 inches high and forms a continuous clean looking barrier around your site, improving visual presentation for home sales. 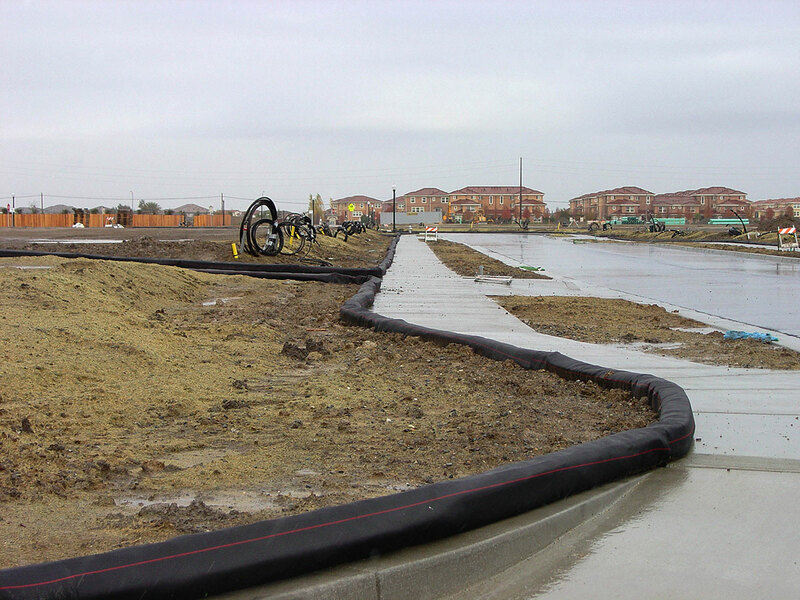 Unlike fiber rolls which soak up sediment and eventually become damaged, DuraWattle retains sediment behind the product and off the streets. 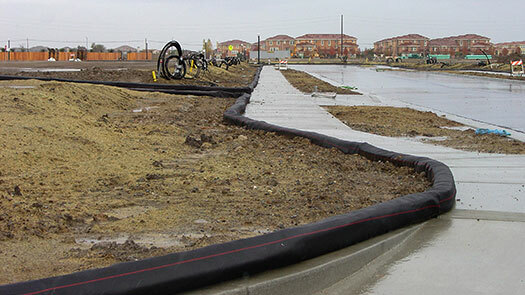 The low profile also gives it an advantage over silt fence which, when installed improperly, can be blown over by extreme weather or heavy winds. 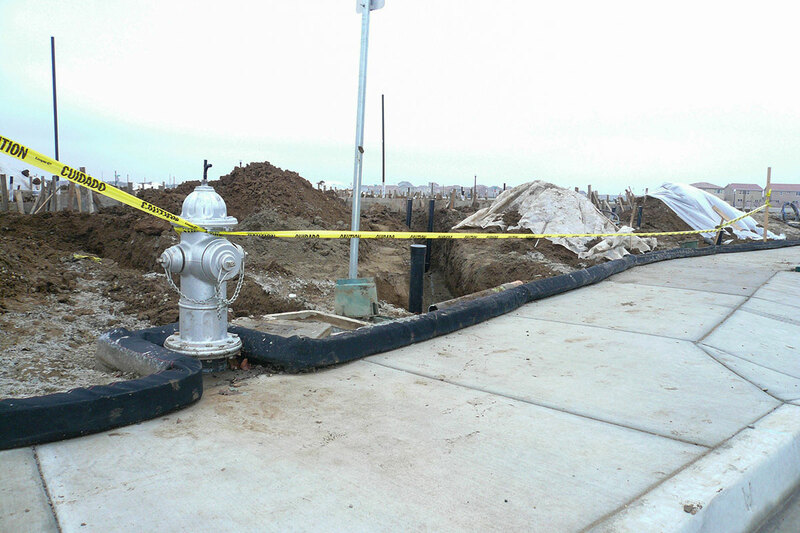 Stop having to replace silt fence or fiber rolls when sub-contractors run them over. 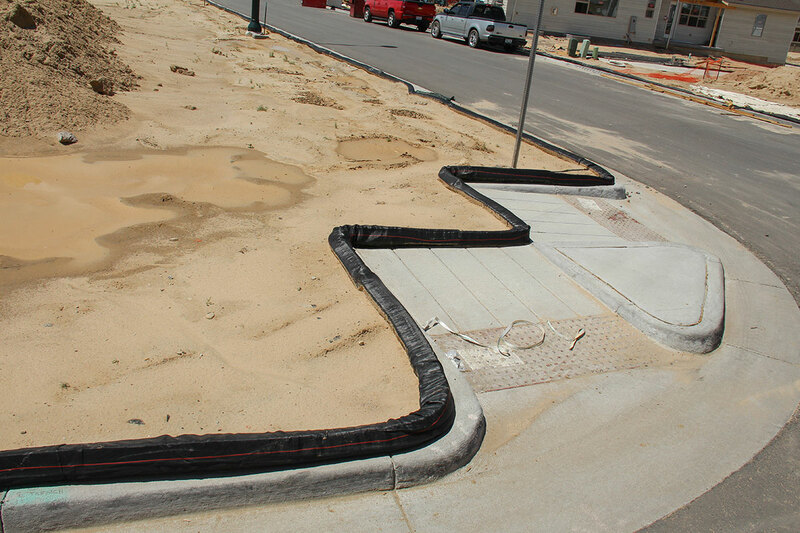 DuraWattle is ideal for driveways on development sites where heavy traffic and materials delivery can be expected. Gain access to your site at more points. 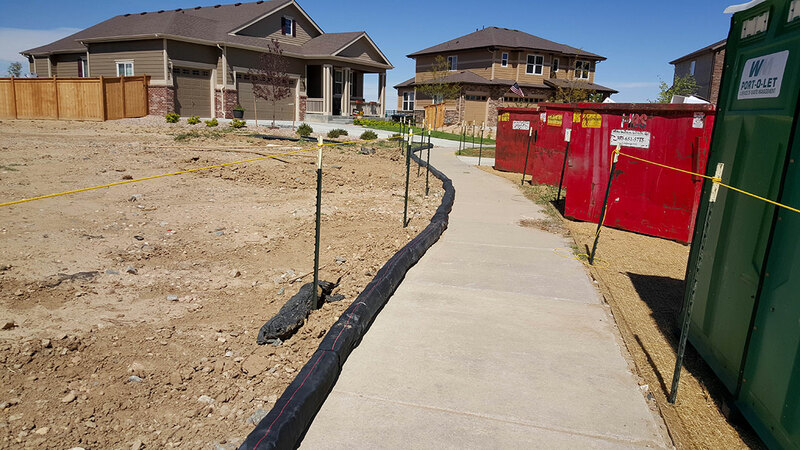 For curb installation, a trench is dug, the tail section is secured with nails included in the shipment, and the soil is backfilled over the tail. See our Installation Guide for more details. DuraWattle remains lightweight and easy to move during installation. DuraWattle pieces interlock to make a continuous barrier. TRI Environmental field tested the DuraWattle at the toe of a 3:1 slope in a simulated 10-year rain event. We have had some customers report more replacements are needed when building basements in new home developments.